My focus as an annuity sales consultant is working with Registered Reps and RIA’s. Many of these advisors used to sell or are still selling variable annuities (VA’s) and have built up large numbers of clients and many millions of dollars in assets within them. Many of these VA’s are 7 or more years old and are now out of surrender or just about to be out of surrender. The VA income rider is no longer needed because the client no longer needs guaranteed lifetime income but the client is still paying for the income rider. The client’s accumulation value is equal to the income rider value and the advisor is unsure if they could move the money to another product to generate more income. 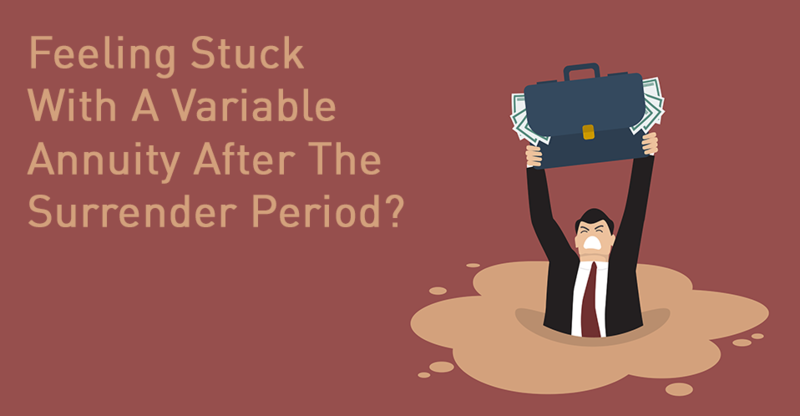 The accumulation value is significantly lower than the income rider value and the VA fees continue to eat away at the accumulation value frustrating the client. The client’s risk profile has changed over the years, and he or she has become more conservative and the thought of losing money is upsetting. In some situations, nothing can be done and the client is best served staying put. But, there are many situations where I’ve been able to improve the client’s situation dramatically by recommending a move to a fixed index annuity (FIA). A happy client equals a happy advisor, plus the advisor gets a new commission which isn’t so bad either. Many advisors are surprised to learn that today’s FIA’s bear little resemblance to yesterday’s FIA’s. There are now uncapped FIA’s which offer significant upside potential. For those advisors who have still sworn off FIA’s, you probably wouldn’t believe me if I told you how much that upside potential could be, but I have actual client statements to prove it. Ask me about those if we get a chance to speak. The point is that if you have VA’s on the books, it might be worth your time to spend a few minutes going through those with me to see how we might be able to put your clients in a better position with an FIA. Join our Knowledge Hub today and leverage the DMI team’s experience with our weekly blog posts catered to the financial professional.